In learning how to find the quotient of a division word problem, it’s important for the learner to have a thorough understanding of the basic concept and components of a division equation. Division is the mathematical operation used if an object or a set of objects described in a word problem has to be distributed or allocated into equal portions. What is a quotient, a dividend and a divisor? They are the basic components of a division equation, which needs to be identified in a word problem. The Dividend – In every division process, there is always the “whole." In a division equation, this is called the dividend and is always the first number in the order of appearance in a division equation. Example: The librarian is about to donate 175 books to five charitable institutions, how many books will each institute receive if the books are to be distributed equally? The dividend in this word problem is 175 being the number that represents the entire batch of books to be donated. Hence, you now have the first number of the division equation for this word problem. The Divisor – In order to divide the whole, you will need a divisor or the number that tells into how many portions the whole will be divided. 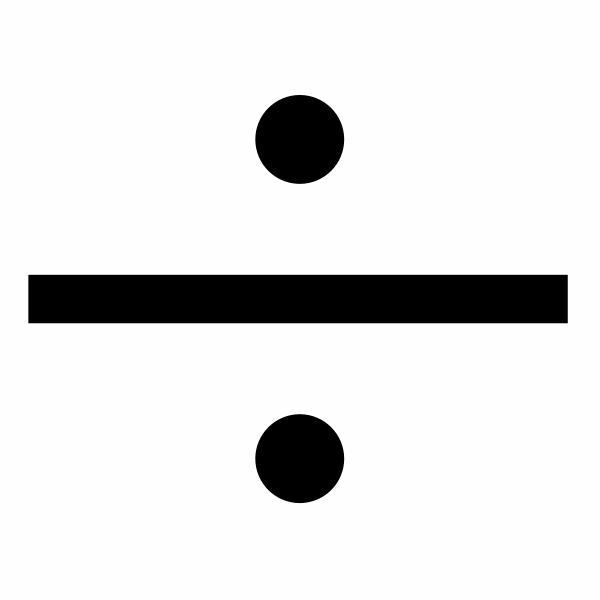 This is the second number appearing in a division equation and it’s called the divisor. The Quotient – This is the resulting number after dividing the whole into several parts. In a division equation, quotient is the answer derived after dividing the dividend by the divisor. To continue with our sample word problem, all we need to do to find the quotient of the division word problem, is to divide the dividend by the divisor. This solution is mathematically expressed as: 175 ÷ 5 = 35. The number 35 is the quotient, being the answer to the mathematical equation. 2. Take note of divisors that are expressed through the use of a collective form of word, this denotes that they represent a constant value . What is the mathematical equation? Find the quotient of the division problem. Label the quotient with the proper word description as answer to the division word problem. 4. Division is the opposite of multiplication; hence it would be to your advantage to know the multiplication table by heart. If you know that 6 x 8 = 48, then the reverse of this equation is a mathematical sentence for division operation: 48 ÷ 8 = 6. This means that if the given dividend is 48 and the given divisor is eight, you can easily find the quotient by recalling the number (factor) multiplied to eight to arrive at 48, which is the number (factor) six. If the given dividend is 48 and the given divisor is six, then it follows that the quotient is eight, the latter being the factor multiplied to six in order to derive the number (product) 48. “There are 50 pieces of candy in every pack and each pack costs $6.00. If the store sells the candy per piece, how much will each candy cost?" 1. What are the givens? How much will each piece of candy cost? 3. What is the division equation? The candy costs 12 cents per piece. The dividend is $6.00 because it represents the whole; in this case, the whole refers to one pack. The divisor is 50 pieces because it represents the number of units or pieces in one pack. Step 1: Divide each digit from left to right. In our example, the first digit of the dividend is six, which is less than the divisor 50. The answer therefore is zero because in conventional methods of calculations, we cannot divide a smaller number by a larger number. Step 2: To increase the value of six, we will make use of the next digit to transform the dividend into 60, so we can proceed with the division process. The right portion will serve as the space for your final quotient. Proceed with the conventional division process as illustrated. However, since the dividend is a dollar amount, the decimal point which marks the beginning of values that have less than a dollar amount should be followed. Step 3: Extract the difference between 60 and 50 and you will get 10. Step 4: Proceed with the division process by bringing down the last digit, which is zero. Step 5: Divide 100 by 50 and you will get the quotient two. Multiply 50 by two and you will get 100, which should be shown below the 100. Step 6: Get the difference if any – in our sample problem, the numbers to be subtracted are the same; hence the next number is zero. This signifies that the division process is complete. Again, the answer should be properly labeled as a monetary value, which in this case is $0.12 or 12 cents. The best way to develop and enhance one’s mathematical skills is through constant use and practice. Do this by downloading a copy of a worksheet containing practice drills on how to find the quotient of a division word problem, available in the media gallery. Tips, techniques, sample problems and explanations were created by the author of this article.